Past world champions and leaders of the 52 SUPER SERIES Azzurra will stick by the same fundamental principles which served them well last month when they won Quantum Key West 2013 as they bid to land the 52 World Championship crown in Miami, Florida 5-9th March. The team which is skippered by Guillermo Parada (ARG) believe focussing on delivering their best, polished performance rather than being preoccupied with achieving final result is the key to repeating their success of Key West where they won the first 52 SUPER SERIES regatta of the season. One of the factors which also contributed to Azzurra’s season opening success was spending a week together training in December in West Palm Beach, one month before the Quantum Key West 2013 regatta. Zirilli, whose family home is in Milan, came to the TP52 from the America’s Cup where he sailed his first big Cup project with +39 with Ian Walker and Iain Percy. 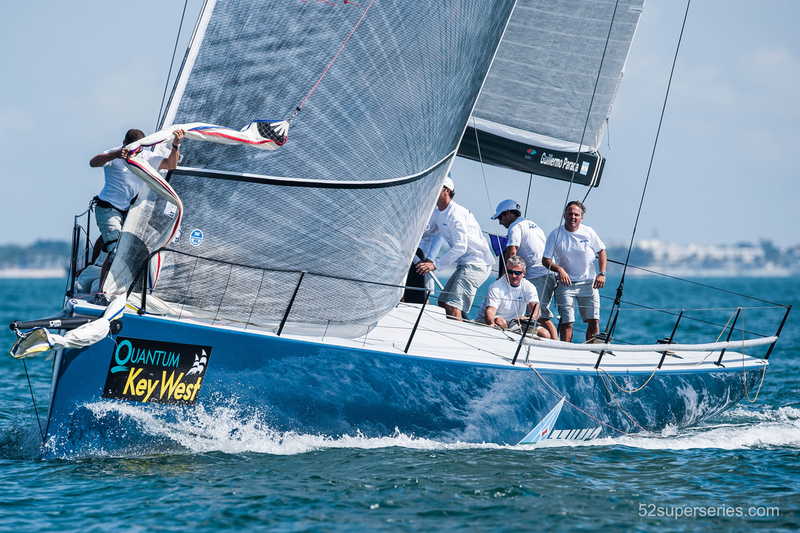 In Miami at the Gaastra 52 World Championships it will be the owner Alberto Roemmers JR who will steer Azzurra. He already has a formidable record winning once in Palma and finishing second in Valencia. Zirilli loves sailing on Azzurra and in the 52 SUPER SERIES. Although he is now a highly respected, in demand navigator he started out in the 1990’s as a bowman in ¼ tonners in Italy, also sailing Lasers and a Laser 5000. He sailed all over Europe in the ¼ tonners, Italy, Germany, France, including a second place at the ¼ worlds in Poland in 1995 when there were 15 boats competing.